I have previously discussed dog behaviour and thought well to explain in short what learning theory means. I recently adopted a horse that I named Marley and with Marley I have experimented with the same type of training that I use for dogs which is positive reinforcement. This is not so often used in the horse world as in the dog world but in some way even traditional horse trainers make use of affection and a carrot every now and then to reinforce wanted behaviour or to "thank" the horse for the specific behaviour well done. Positive reinforcement is not only working with treats but also things like making use of a clicker which is a marker with a generic sound used to mark a specific wanted behaviour and then we reward the dog with a treat or play with a toy which reinforces that behaviour. One of my most recent Husky "clients" we use running as a reward known as the Premack principle which means that a dog or any animal as well as human will do something that is less desirable to be able to do what he really wants to do which is part of behaviour modification. So instead of using a object or food as motivation which reinforces the dog to do a behaviour you use an activity like running, sniffing or any other behaviour that is of value to your dog to reinforce the behaviour. Why do we need to reinforce our dogs when we teach them a new behaviour like sit for instance or not jumping up on guests? It means that the dog is more likely to give the desired behaviour in the future. There is a trick to all of this...never start with your end goal. Break all behaviours up and remember you have to add value to your training for your dog. A dog that jumps on guests will not want to sit by just simply asking him for a sit, you will have to add value by showing your dog that the moment all 4 paws are on the ground he gets rewarded by what ever he holds value too, it could be a treat, affection etc. Why do I use positive reinforcement and what does it really mean? Through shaping a natural behaviour of an animal even if the animal only shows a small part of the behaviour you can increase the behaviour by using positive reinforcement in which I include clicker training as it is proven to be very affective and if done right is perfect in timing. Force free training methods not only teaches the dog a new behaviour but in this way you ask the dog for a specific behaviour which he has learned instead of forcing the animal and if not complying to the force he gets punished so the dog has not learned any new behaviours except doing a behaviour because of pressure. You do not need to manage your dog by pulling, yanking and using severe training tools, no instead you ask and he gives. I am not saying other training methods will not work and will not have results and I don't have to really share my views on them but only on what I find works for me. If you would like to learn more on force free training methods please reply to this letter by clicking on the reply button. 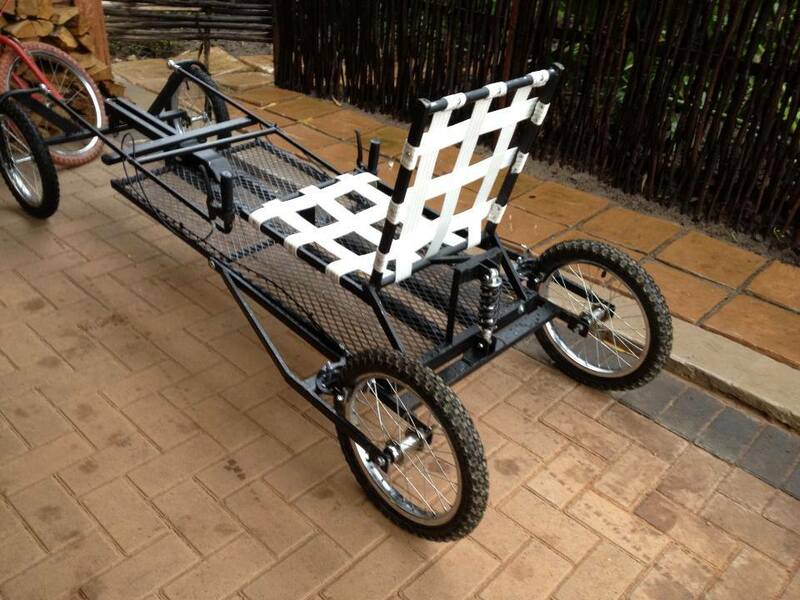 Custom made carts We are very quickly becoming the #1 supplier of S.A. with imported sledding harnesses and gear as well as custom made carts since 2008. 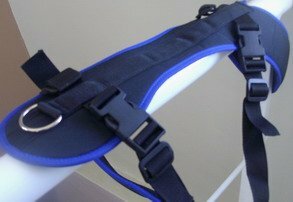 We are the first to supply Long distance harnesses also known as shoulder harnesses as well as Merhi-long harnesses specifically made for breeds like Weimaraners. We also supply imported and local dog treats, beds, collars, leads, grooming supplies and many more. Visit our online store. Click on the images below to view some of our products. 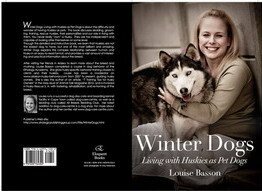 Winter Dogs; Living with Huskies as Pet Dogs- Now also available on Amazon.com, Barnes&Noble.com and Kalahari.net, petspublications.co.za. This book is aimed at Husky owners learning about the breed or wanting to know more about sledding as well as people interested in getting a Husky. copyright © 2008-2012. dog-care-centre.com All rights reserved. No part of this web site may be copied in any form as it is copyright protected without written permission from the owner.